Nearsighted or farsighted, fit your patients with ease. 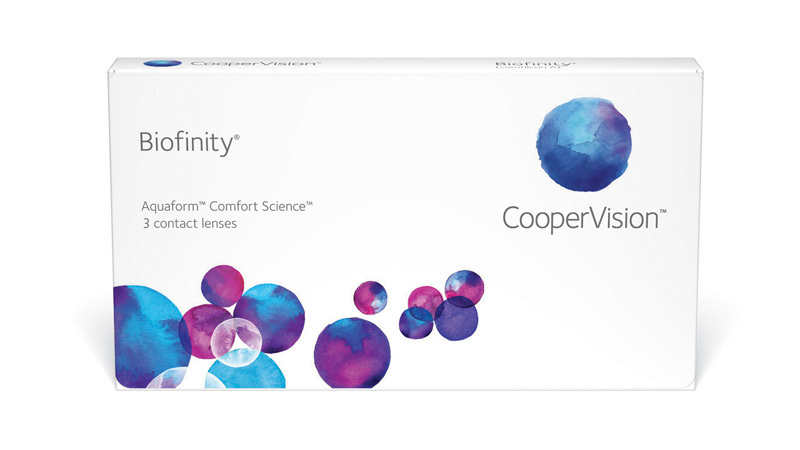 For both new and existing patients, CooperVision Biofinity is designed to meet the most demanding of needs. Aquaform Comfort Science utilises longer siloxane chains which results in less silicone incorporated into the lens material. Less silicone creates a more flexible, low modulus lens that's soft and comfortable. These siloxane chains also contribute to maximise oxygen transmissibility. Biofinity gives your patients a comfortable, wettable and breathable contact lens experience.